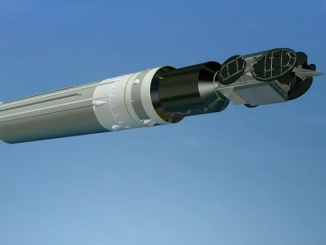 An Intelsat communications satellite launched last August entered service Sunday, about three months later than planned after a main engine problem forced engineers to position the craft in geostationary orbit using backup low-thrust rocket jets. 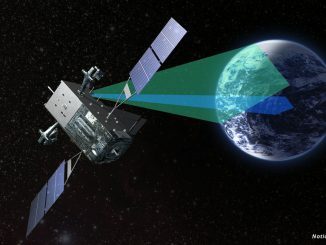 An Air Force missile detection spacecraft will, effectively, lose its position in the Atlas 5 rocket’s cramped manifest over the next few months after the flight-worthiness of a thruster on the satellite was called into question and delayed its Oct. 3 liftoff date. 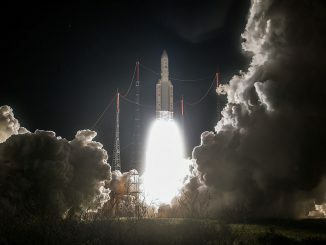 An Ariane 5 rocket ignited its hydrogen-fueled Vulcain 2 main engine and two solid rocket boosters to send two Intelsat communications satellite into orbit this week, casting a brilliant glow across its launch base carved from the jungle of French Guiana. 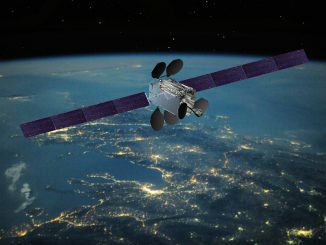 Two U.S.-built Intelsat communications satellites destined for different missions fired into space from French Guiana just after sunset Wednesday, vaulting due east over the Atlantic Ocean before separating from their Ariane 5 launcher right on target in geostationary transfer orbit. 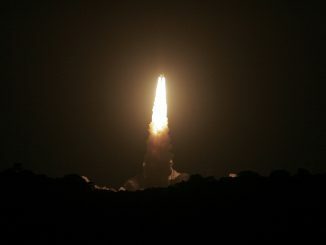 An Ariane 5 rocket will fire into the sky from French Guiana just after sunset Wednesday and deliver nearly 12 tons of payload to an orbit reaching 22,000 miles up less than a half-hour later. 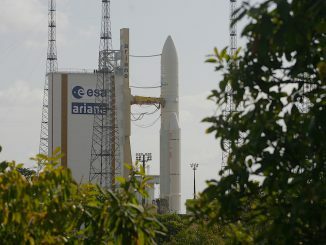 An Ariane 5 rocket sent two Intelsat communications satellites into orbit Wednesday after liftoff from Europe’s space base in French Guiana at 2216 GMT (6:16 p.m. EDT; 7:16 p.m. local time). 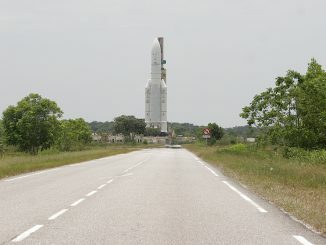 Take a trip around the perimeter of the Ariane 5 rocket’s launch zone in Kourou, French Guiana, where two Intelsat communications satellites are poised for liftoff Wednesday. 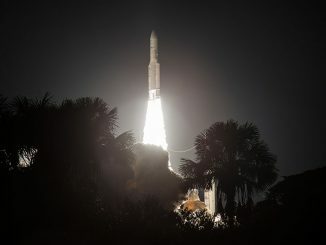 Two U.S.-built commercial communications satellites moved to their last stop on Earth on Tuesday, when an Ariane 5 rocket rolled out to a launch pad at the edge of the Amazon jungle on the eve of liftoff. 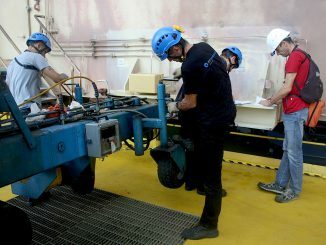 A day before blastoff with two Intelsat communications satellites, an Ariane 5 rocket rolled into position on its launch pad in French Guiana on Tuesday behind a 540-horsepower Titan truck, and these close-up snapshots show technicians preparing for the journey. 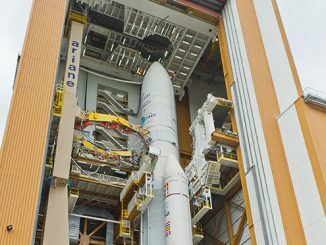 Launch managers in French Guiana on Monday approved plans to loft two U.S.-built communications for Intelsat aboard an Ariane 5 rocket Wednesday.